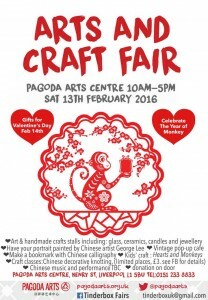 Following a successful debit fair in November last year, we’re back in time for Valentine’s Day (14th Feb) and to continue celebrating the Chinese New Year of the Monkey. Tinderbox Fairs are pop-up and no two events are the same. This time we have artists including a watercolour painter, an art exhibition by George Lee, and you can also have your portrait drawn by George at the fair. Our crafters are varied including handmade glass art, homemade jams and pickles, jewellery, pottery….offering you a wealth of original gifts to choose from. There will be performances by the centre’s resident Tai Chi group including the famous fan dance and the sword performances, plus a little live traditional Chinese music from the Guzheng. We look forward to seeing you and hope you enjoy yourself! 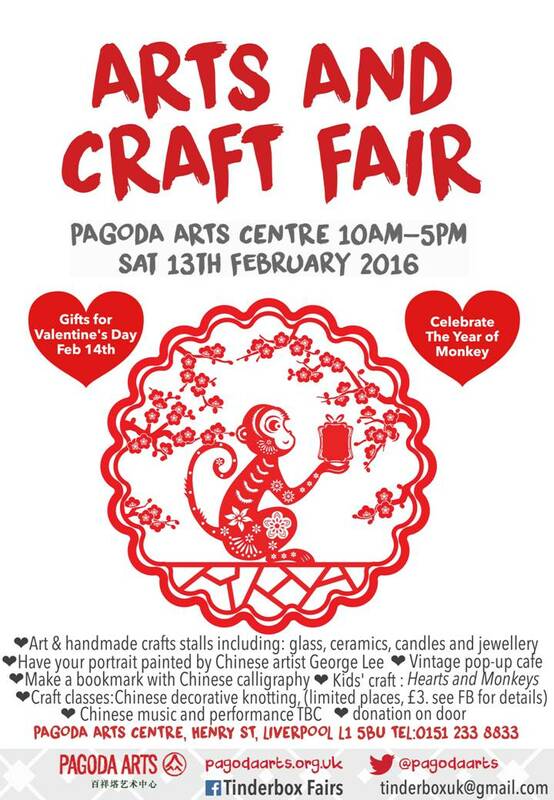 Pagoda Arts is a registered charity and we welcome donations on entry.